But what exactly makes the Galaxy J7 Pro the ideal companion for a great night out? Now, you don’t have to fuss over those blurry night shots thanks to the Galaxy J7 Pro’s 13MP rear camera boosted with an F/1.7 aperture that lets you take bright and crisp photos even in low light settings, making it your best bet for when you want to snap a photo of the night’s escapades.Swipe right for Night Mode to get bright photos even in the darkest environments. 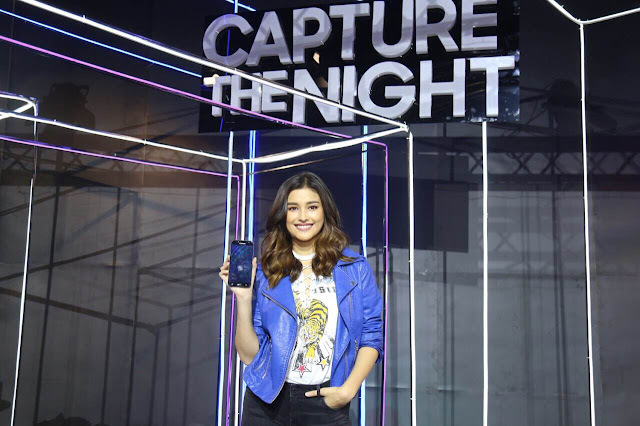 Liza manages to take any opportunity head on no matter what time of the day, and with the new Galaxy J7 Pro, she is sure to capture the night. The Galaxy J7 Pro is priced atPhp 15,990 SRP. It will be available in Samsung Experience Stores and authorized Samsung dealers starting July 15, 2017 and you can learn more about this over at http://www.samsung.com/ph/smartphones/galaxyj7pro.